Nineteenth-century Britons treasured objects of daily life that had once belonged to their dead. The love of these keepsakes, which included hair, teeth, and other remains, speaks of an intimacy with the body and death, a way of understanding absence through its materials, which is less widely felt today. Deborah Lutz analyzes relic culture as an affirmation that objects held memories and told stories. These practices show a belief in keeping death vitally intertwined with life - not as memento mori but rather as respecting the singularity of unique beings. In a consumer culture in full swing by the 1850s, keepsakes of loved ones stood out as non-reproducible, authentic things whose value was purely personal. 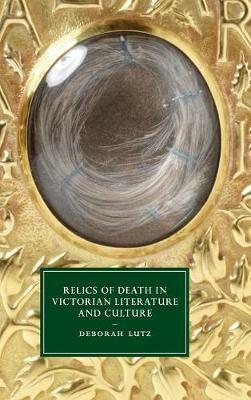 Through close reading of the works of Charles Dickens, Emily Brontë, Alfred Lord Tennyson, Thomas Hardy, and others, this study illuminates the treasuring of objects that had belonged to or touched the dead.